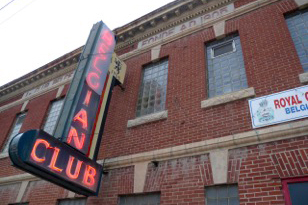 The Belgian Club was constructed in 1905 as a place for members of the Winnipeg area Belgian community to socialize. Constructed by Frank Wyant and Marcel De Leeuw under the guidance of architect J.A. Senecal, the building has gone through many additions in order to accommodate the growing Belgian community. The second floor was added in 1911, and further additions were completed in 1914 and 1947. The building is especially notable for its original tin ceilings that can be seen in the upper hall and in the main hall of the basement. We welcome everyone to come and see our building and everything we can offer.